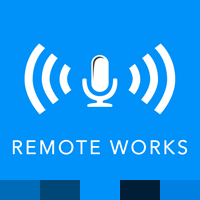 There are many challenges in being a remote worker. One challenge I hadn’t anticipated when I first started out was other peoples expectations that I’m always available. It caught me off guard at first when I received a call from a friend in the middle of the day asking for help moving some of their belongings. Isn’t he aware that I’m working!? To be honest, this request bothered me quite a bit the first time it happened. I took it to mean that they assumed I wasn’t working; and stretching it a bit further, unless someone is physically looking over my shoulder I’d play hooky. The general population’s and some organization’s perception of remote working probably isn’t too far off from this example. If there isn’t a physical presence people will slack off and play hooky. What this objection is really stating though, is the person or their organization’s distrust of their culture. Culture is what binds a team (and more specifically a remote team or distributed organization) together. Successful and sustainable businesses and organizations have a culture of leadership development central to their identity. It is not just big “L” though that is the output of their actions; it is also the little “l”, leadership of one’s self. When I set off on the journey of freelancing and remote working in July of 2008 (just a month before the financial meltdown mind you) I had a good idea that I was going to have to cultivate greater personal discipline. What is now evident in hindsight, is that personal discipline was just the start. Where the full effects of being a remote worker are experienced, is with personal leadership development. In wisdom though, you have to lead yourself before you can lead others. So, does your organization have a culture of personal leadership development? Personal leadership development is either present or absent in your culture. You probably have a good sense now if it is present, even if your organization doesn’t have a formal “leadership development” program. The fruit of such a culture is trust, integrity and growth. What I personally look for in organizations I’ve worked with is long term sustainability. A culture of personal leadership development cultivates an organization for sustainability and deepens its foundation and roots. I am a better person because of being a remote worker. I directly relate the significant personal growth I’ve experienced, to my time as a remote worker. First, I have become a healthier individual; physically, emotionally, spiritually. Second, I’ve become a better husband and father. Third, I’ve become a better employee. The first two areas of growth directly accelerate the growth of the third. I undoubtedly would have experienced some growth over the same period of time had I been physically located in an office, but remote working is an opportunity to rise and strive for. I view it as a privilege, not an expectation. As you consider remote work, does your organization’s culture still cause you pause? 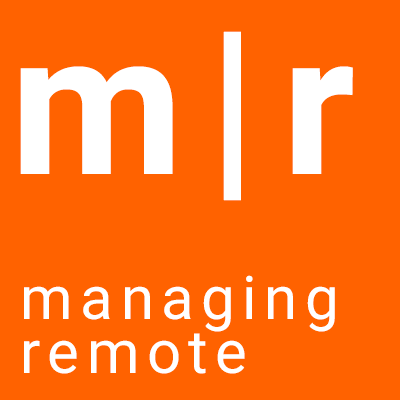 Maybe remote work is, itself, the solution to your reluctance? It may be, that a distributed team will spur on the cultural change necessary to strengthen and grow towards better alignment with the core mission of your organization’s purpose. Don’t be afraid to lead with the change.